The last bat walk of the season, ended on a high note. Once again the walk was fully booked and as per usual the walk was fully booked. To crown a successful season Danny Fellman recorded a serotine – the first time we have heard one at Priory. The photogarph below is an of photo of a serotine. 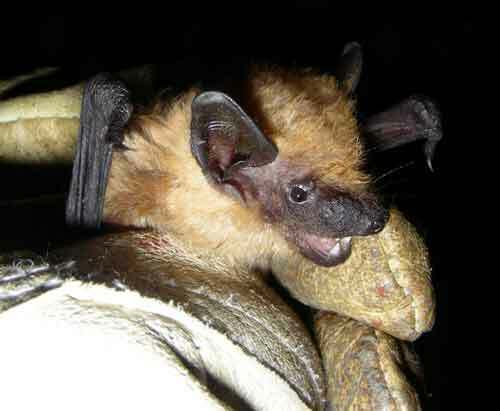 Who knows we might get one at the last Nathusius survey of the year. This entry was posted in Uncategorized and tagged Priory Country Park, serotine. Bookmark the permalink.